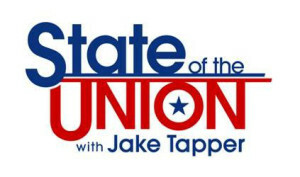 Today on CNN’s State of the Union, Senator Marco Rubio (R-FL), GOP presidential candidate, joined anchor, Jake Tapper to discuss Trump’s rallies and the Florida primary. JAKE TAPPER, CNN HOST: And joining us now from Orlando, Florida, Senator Marco Rubio. Senator, thanks for joining us. SEN. MARCO RUBIO (R-FL), PRESIDENTIAL CANDIDATE: Thank you. Good morning. TAPPER: This weekend you condemned Donald Trump for allegedly inciting his supporters to commit violence. You called it a, quote, frightening, grotesque, and disturbing development in American politics. Frightening? What are you frightened about? RUBIO: That we can no longer have a debate in this country about policy differences without it resorting to the highest level of anxiety, anger. You see images of Americans now literally at each other’s throats, pointing fingers at each other’s face. Look, some of these protesters that you saw in Chicago obviously were maybe organized, maybe even paid to disrupt an event, so I’m not excusing their behavior but these are not just the protesters in Chicago. This is now multiple rallies where people are assaulted and beat up, where a guy gets sucker punched by one of the Trump supporters, and then instead of condemning it, Trump is silent. When the guy is released from jail he says maybe next time maybe we should kill the protester, again there’s silence. Then he goes on stage and makes things up. He keeps telling this story about a general who bullets in pig blood and shot a bunch of prisoners — Muslim prisoners. Not only is it outrageous, it’s a lie. And then he claims that the guy that stormed the stage had links to ISIS. I mean, he has turned the most important election in a generation into a circus, into a complete fiasco and a carnival. And this country deserves better. I mean, at some point people have to wake up here. This is really going to do damage to America. TAPPER: I want to read a tweet that Donald Trump just sent out. He wrote, quote, Bernie Sanders is lying when he says his disrupters aren’t told to go to my events. Be careful, Bernie, or my supporters will go to yours. Your response, sir? RUBIO: I don’t know anything about Bernie Sanders’ campaign and who they’re spending, but this is not just Bernie Sanders. Yeah, a few people had Bernie Sanders signs. OK, I don’t agree with them going and thinking they can shut down a rally. This is something the left has now been doing on college campuses, but he wants to deflect and distract. Here is the bottom line, he has said to people basically beat up the protesters and beat up the hecklers and I will pay your legal bills. And here is what people have to understand. Maybe you think it’s a joke, but there are people out there that are not balanced. There are people out there that are not completely in control of themselves and they hear something like this from a leader, you don’t know what they’re going to do next. And when someone is seeking a position of leadership and is already in a position of influence, you speak responsibly. This notion that a president can just say anything they want or even a presidential candidate can say anything they want, whatever comes to mind, it’s just not true and it’s reckless and it’s dangerous. And, look, I hope people wake up on time and realize what’s happening here, because if we reach a point in this country where we can’t have a debate about politics without it getting to levels of violence and anger, where people think that just because you’re angry you can say and almost do anything you want, we’re going to lose our republic. We’re going to have a big problem. Those images from Chicago the other night, it looks like something out of the third world. TAPPER: I have to say, senator, I brought this up at the debate in Miami on Thursday evening, and you simply said you were concerned about violence in general in this society. Why didn’t you say anything Thursday night? Why did you hesitate to criticize this when Trump was on the stage? RUBIO: Well, that’s not — yeah, that’s not exactly how that played out, Jake. That question was not even asked of me. And I was the fourth person to opine on it. At that point, a lot had already been said about it, number one. Number two, the question I was directly asked about was about Muslims and what he had said about all Muslims hating America and I said very clearly there that presidents can’t just say anything they want, that there’s consequences for that. But, look, this is an jog going thing. OK, so every day something new comes up. And I try not to escalate things. You don’t want to exaggerate them, and you don’t want to make something bigger than it really is. But just in the last five days would he have had stories about the guy getting sucker punched at the Trump rally, you have a supporters basically — you have a campaign employee now allegedly assaulted a reporter at an event. So, every day it’s something new. And so there comes a point here where there is a tipping point, right, and you look at it and say enough is enough. So, I think at the end of the day we should all examine our behavior over the last year on this issue. We should all examine whether we have been quick enough and that includes the media, that includes your network that has given — not just you — I’m not picking on you, everybody else, gives every one of Trump’s speeches wall to wall coverage because while they may act outraged by what he says, they want to cover it and they want to get it live so they can talk about it and it drives ratings. So, I think we all need to take a step back and say have we contributed to this culture that has turned American politics and the American political discourse into the equivalent of the comment sections in these blogs, where presidential comments are now basically Twitter trolls. TAPPER: Would I be overstating matters if I said you sound like you’re actually concerned that somebody before this is all over, somebody might lose their life? RUBIO: I’m very concerned about that. I’m very concerned — we don’t know what’s going to happen next here. I know that we have reached the point now where people in American politics have decided that if they don’t agree with you, that they can get angry at you, that you’re a bad and evil person, that they can say anything they want about you. I think that all the gates of civility have been blown apart and we’ve now reached a point where on both sides everyone is just saying or doing whatever they want and, you know, you can’t just say or do whatever you want. This is not about political correctness. This is about rules of civility and a way that society talks to each other. And let me ask everybody this, do we really want to live in a country where everybody hates each other? Where everybody is at each other’s throat? Where because we disagree on the role of government or the tax rate or Obamacare or foreign policy we now in this nation cannot have a discourse or agree on any other issue and end up hating each other? Because that’s what it feels like. It feels like we’re reaching a point now where in America everyone hates each other. I’m so tired of arguing and fighting with other Americans. Yes, we have serious disagreements, and let’s debate those through our republic, but we’ve reached a point now where if I don’t agree with you on something, it’s not just that you’re wrong, but you’re a bad person, you’re an evil person, you deserve nothing. I mean, all the rules that once governed our discourse have been blown away and we’re headed in a very dangerous direction. And, yes, there are people out there that are unbalanced. There are people out there that do not have control of themselves. We don’t know what they will do. And this applies to both sides of this debate, by the way. TAPPER: …you sounded like somebody who no matter what you say publicly, you’re not going to vote for Trump in the privacy of the voting booth. RUBIO: Let me tell you that I think a significant number of Republicans will not vote for Donald Trump at the voting booth no matter what I say or anybody else tells them, they just won’t do it. They’ll abstain. And, you know, I have never argued that anybody should abstain in an election and I need to lead by example. Yeah, but I’ll be frank, it’s getting harder every day to justify that answer. And I’m not prepared to say something different today other than to tell you that I hope we can avoid that. I hope that through this process somehow, some way we can avoid leaving the Republican Party with a nominee that basically people have to make excuses for or can’t ultimately support. I know already some public officials have said that. And I don’t know what else to tell you other than, you know, it’s getting harder every day to justify that statement to myself, to my children, to my family, and to the people who support me. TAPPER: You compare Donald Trump to a third world dictator yesterday in an interview with The New York Times. How so? RUBIO: Well, I don’t know about a dictator. I said a third world strong man. He’s running for president so no matter what he won’t be a dictator unless our republic completely crumbles, which I don’t anticipate it will. But, yeah, here’s what happens in many countries around the world. You have a leader that emerges and basically says forget — don’t put faith in yourselves, don’t put your faith in society, put your faith in me, I’m a strong leader, and I’m going to make things better all by myself. This is very typical. You see it in the third world. You see it a lot in Latin America for decades. It’s basically the argument he’s making that he single-handedly is going to turn the country around. We’ve never been that kind of country. We have a president. The president is an American citizen who serves for a period of time constrained by the constitution and the powers vested in that office. The president works for the people, not the people for the president. And if you listen to the way he describes himself and what he’s going to do, he’s going to signle-handedly do this and do that without regard for whether its legal or not. Look, I think people are going to have to make up their mind. I can tell you this, no matter what happens in this election, for years to come there are many people on the right, in the media and voters at large that are going to be having to explain and justify how they fell into this trap of supporting Donald Trump, because this is not going to end well one way or the other. He’s going to be the nominee and he’s going to lose, or he’ll have thrown this party into its most chaotic and divisive period ever, and that’s unfortunate because the Republican Party is the home of the limited government, free enterprise movement in America, and if it crumbles or divide or it splits apart, it will be very difficult to elect candidates that hold those views at any level of government until we can bring the party back together. TAPPER: Senator, should we assume that even if you do not win Florida on Tuesday, you’re going to be in the race until the convention? RUBIO: My intention is to run for president and as I said before to campaign in all 50 states and territories until either someone gets the delegates to be the nominee or this process ends. That’s our intention. It continues to be. We’re scheduled to be in Utah on Wednesday morning and that’s where we’re going to be. I intend to win Florida. It’s a tough fight. Look, I mean, we’re experiencing in Florid what the country is seeing, which is a very unusual election cycle. And I can tell you this — the only one that can beat Donald Trump in Florida is me. And so that’s why I have made that argument, that if you support John Kasich or Ted Cruz, if you vote in Florida, voting for them is in essence voting for Donald Trump. I’m the only one that can actually beat him here. So I feel good about our campaign here, but even if I win Florida, it won’t mean that I wrapped this thing up. I think it will change the contours of the race quite a bit, but the fact of the matter is after last night Ted Cruz needs 75 percent of the delegate for the rest of this campaign in order to be the nominee. Donald Trump needs over 60 percent of the delegates to be the nominee. So, this notion that somehow it’s now a two-man race and these two have the inside track is just fiction, and I know it’s convenient for their narrative, but it’s just not accurate. No one knows how this is going to end. This is a very unpredictable year to say the least, but I can tell you that it’s the most important election in a generation and it comes at a time when we are now asked to define the identify of the conservative movement, the Republican Party, and ultimately of our country and I feel very passionate about that. TAPPER: Senator Marco Rubio of Florida, in Orlando this morning. Good luck to you on Tuesday, sir. Thanks so much for joining us. RUBIO: Thank you very much, Jake.